It may be surprising to some to learn that there is a Naval Air Station in the State Of Texas, but NAS Joint Reserve Base Fort Worth is a multi-service operation with approximately 40 commands operating there. There are roughly ten thousand active duty, Guard, Reserve, and civilian employees working at NAS Fort Worth. The air station is located approximately five miles from the Fort Worth business district and is very close to Dallas. The installation is a few hours south of Oklahoma City, Oklahoma, and Austin, Texas is roughly four hours south. Find information about Naval Air Station Joint Reserve Base Fort Worth including the main commercial and DSN numbers for the base, information on basic services, base transportation, lodging for TDY and PSCing personnel, and inprocessing. NAS JRB Fort Worth falls under Navy Installations Command (CNIC), and is host to a wide range of fighter and airlift Reserve units from multiple service branches. Joint training is among the primary missions of the air station, but NAS JRB Fort Worth runways are also made available for aircraft operations by Lockheed-Martin, which is not surprising since military F-16s and F-35s are manufactured at a nearby Lockheed-Martin facility. NAS Joint Reserve Base Fort Worth is unique among Navy installations in that it was originally known as Tarrant Field in the 1930s, but later as Carswell Air Force Base from 1948 until 1993. The air station is neighbors with nearby Lockheed Martin, but in 1941 the area was home to a factory responsible for manufacturing B-24 bombers. After World War Two ended, Carswell Air Force Base fell under the newly created Strategic Air Command (SAC) and the bomb wing operations there including B-52s, B-58s, and B-36s. The Base Realignment and Closure Commission of 1991 saw Carswell AFB recommended for closure and by 1994, Carswell had transformed into a Naval Air Station Joint Reserve Base; Navy, Marine Corps, Air Force, Army, and National Guard units began operating there. 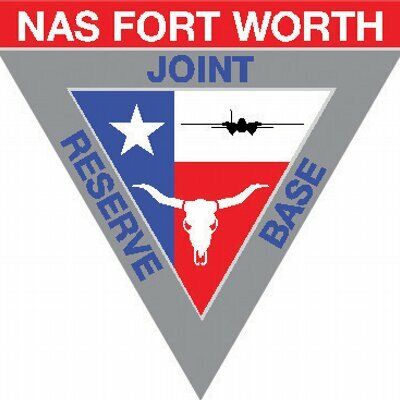 Today the mission of NAS Joint Reserve Base Fort Worth includings training and support for flight operations including air intercept, jet fighter training, and bomber training. Fort Worth and Dallas have plenty to offer those looking for art, culture, and sports. AT&T Stadium in Dallas is home to the Dallas Cowboys and regular NFL events. It’s roughly half an hour away from Fort Worth, but traffic on game nights may require some advance planning. Those looking for live theatre performances in a far more intimate venue should explore the Jubilee Theatre in Fort Worth, which is highly rated for its’ events regardless of the production. History buffs and fans of western culture should visit the Texas Civil War Museum in Fort Worth, which features a twice-daily cattle drive, and regular showings of a Texas-related Civil War film. Those interested in the paranormal-especially Texas-related paranormal topics will want to take the Fort Worth Ghost Bus tour, which combines Texas history with Texas ghost stories. The Dallas/Fort Worth area is also conveniently located approximately three hours from Austin, Texas-considered the “live music capital of the world”. Approximately another hour away, San Antonio’s famous Riverwalk district, Blue Star Arts Complex (which has received funding by the Warhol Foundation in times past) which is the longest-running contemporary art space in San Antonio. With 40 commands operating at NAS Fort Worth Joint Reserve Base, inprocessing requirements will vary greatly-report to your gaining unit upon arrival to NAS Fort Worth. If you aren’t sure where to report or arrive after normal duty hours call the Command Duty Officer at 817-825-4079. Those traveling to NAS Fort Worth get priority for temporary lodging; call Consolidated Base Housing at 817-782-5483 or DSN 312-739-5483 to make reservations. NAS Fort Worth offers healthcare on board for active duty personnel only. These services (sick call, medical screenings, dental appointments, etc.) are handled by the Branch Medical/Dental Clinic. More information or appointments can be made by calling 817-782-5900. All non-active duty members must enroll or utilize TRICARE coverage and find an in-network provider in the local area. NAS JRB Fort Worth offers child care services via the Child Development Center, which operates Monday through Friday. Full day care services are available plus drop-in and hourly care. Call 817-782-7520 for information on sliding scale fees, which are income-based. Those with permanent change of station orders should know there is a waiting list for most child care offered as there is a maximum capacity of approximately 200 children. Waiting times may depend on the time of year, mission requirements, etc. All inbound personnel are directed to track and manage their household goods shipments via the Defense Personal Property System at Move.mil. You can get local assistance via the NAS JRB Fort Worth Personal Property Office in Bldg at (817) 782-7304 or 7305. The NAS Fort Worth Joint Reserve Base ID Card office handles all active duty, dependent, and retiree ID card needs. Two forms of unexpired ID are required for ID card services in all cases, and the military member may be required to be present for dependent ID new issue, replacement, or renewal unless the dependents have a Power of Attorney or DD Form 1172-2. Walk-in appointments are technically available, but high demand creates very long wait times. All personnel should schedule their ID card visits using the RAPIDS appointment scheduler. There are as many as 20 school districts in the Dallas/Fort Worth area. Transfer policies will vary depending on the district, and military dependent children will attend schools based on location or other state requirements as applicable. Of the districts in the area, Fort Worth Independent School District is said to be the largest. Before choosing a school district or housing based on school district locations, it’s best to contact the NAS Fort Worth School Liaison Officer to get assistance and advice. Contact the School Liaison Office at (817) 782-1873. There is a limited amount of on-base housing available at NAS JRB Fort Worth-just over 80 housing units with a waiting list that can last as long as 12 months. According to official sources, “All new arrivals are strongly encouraged to add their names to the on-base waiting list as soon as possible after arrival”. The waiting period begins the day you are added to the mailing list with no back-dated additions permitted. Official sources add that there are no plans at the time of this writing to add more on-base housing. It is advisable to contact the Base Housing Referral Office to get information on local area housing options. Contact them at 817-782-5711 or DSN 312-739-5711. The Navy Lodge serves NAS JRB Fort Worth with more than 120 rooms open to those traveling on military orders. This military installation is unique due to its’ emphasis on Reserve missions; this means that there are much TDY travel to and from the base and Temporary Lodging may be at a premium at many times during the year. It’s best to call 1-800-NAVY-INN to make reservations as far in advance as possible, up to 45 days in advance is permitted. Due to the unique nature of this base, Reservists on drill weekends have priority in Navy Lodge facilities at NAS Fort Worth; you may or may not be required to vacate your temporary lodging on weekends when drilling Reserve members need the rooms. The usual commercial taxis, ride sharing (Uber, Lyft, etc) and shuttles may be used to reach NAS Fort Worth from any of the local airports including DFW and Meacham International. All visitors to the base will need to present current, unexpired military ID at the front gate. For alternative travel arrangements, it’s recommended to contact the gaining command to arrange a pickup by a sponsor or to learn how to make such arrangements. Traffic from DFW can delay travel times depending on time of day, construction, and other issues. It’s best to plan ahead for arranging travel from DFW, taking into account rush hour peak driving times, etc. Privately owned vehicles must register to operate on NAS Fort Worth. This is done at the Base Registration office located in the Visitor Control Center by the main gate. Vehicle registration, proof of insurance, driver’s license and military ID are all required to register your vehicle on base. All vehicles entering, leaving, and operating on base are subject to random search at all times. You are required to carry the state-required minimum auto insurance and have proof of insurance at all times.